As a new store focusing on creating contemporary + new stylish products is a main goal. 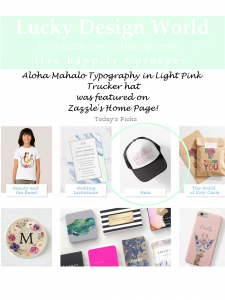 There are so many inspirational + creative products to be found on the Zazzle Market Place and it was an amazing discovery to be featured on Zazzle’s Homepage! Yay! It was such great news! Lucky Design World was featured on Zazzle’s Homepage for “Top Picks” for over a whole week starting March 20th! Here is a picture below! Aloha means in the Hawaiian language “hello” and “goodbye”, but it also is a loving expression of peaceful joyful sharing of the present moment. Mahalo in the Hawaiian language means thank you and general expressiveness of gratitude. Words with meaning, words with positivity presented in a timeless mix of fonts to display the island lifestyle and love of all things Hawaiian. This design is presented in a very light pale pink. This design is customizable, so you can add your name or add some cool keepsake message from a holiday in Hawai’i. It’s a stylish, fun, beachy + summery design! This hat is part of a larger collection! Here is a collection of “Aloha Mahalo” Typography design. It’s perfect for summer, going to the beach, enjoying the suns rays, if your in Hawaii or you want to bring a little “Aloha Lifestyle” into your daily life! 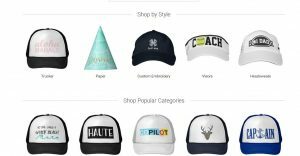 When browsing + shopping on Zazzle, know that the quality is excellent, your product will arrive on time, with excellent customer service and an easy to use website – your ordering experience will be f a n t a s t i c ! 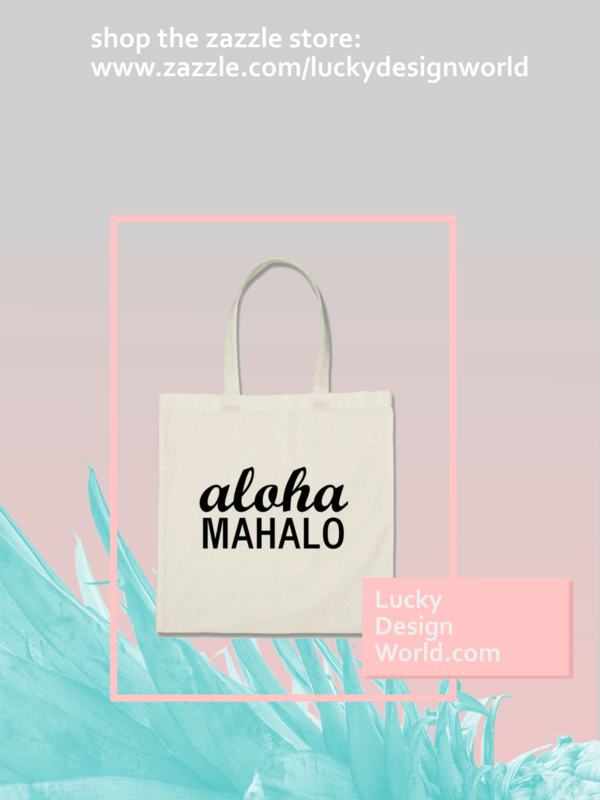 Remember to stop by the store and see more aloha lifestyle accessories! Mahalo!